Estee Lauder Pefectionist Youth-Infusing Brightening Serum + Concealer, NYX Gotcha Covered Concealer, and Burberry Cashmere Concealer are just a few brand new concealers popping up that might just be worth exploring! 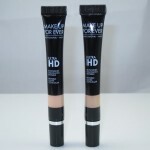 This dual ended stick pays home to a brightening serum and a concealer for eyes that corrects and concealer. If Burberry’s new Cashmere Concealer looks familiar that would be because it has a little attached puff much like the new Visee’s new CC Concealer that launched in Japan a few weeks ago. This creamy concealer has medium-to-high coverage with cashmere-soft application and finish. The unique sponge tip applicator allows you to apply the concealer easily under eyes and blend out to a flawless finish! NYX’s new concealer promises full coverage without creasing or caking and a formula that’s infused with coconut oil for moisture! This one isn’t necessarily new but it is easier to get now as Makeup Revolution is now sold in the US at Ulta! Their professional concealer palette contains eight different shades you can mix, match, or wear individually to conceal, cover, and perfect any number of issues! Again, not a new concealer but now it’s easy to get German brand, Catrice in the US! This little pen contains a creamy, moisturizing concealer that can be swiped under eyes to conceal and brighten dark circles. Spray on your coverage with this new Barely Sheer cover up mist that provides lightweight, easy to blend high coverage! 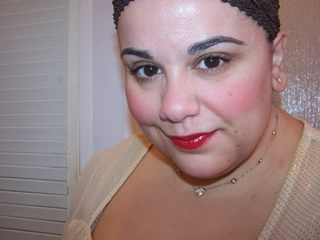 I just did a presale for the EL GWP coming up at Macy’s and got the new serum concealer – hopefully it does what it says! Update me Christina! curious if it works!